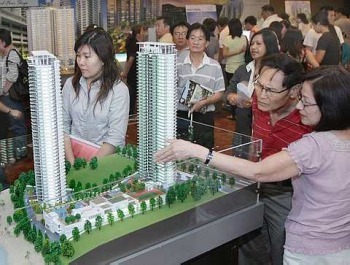 The public having a closer look at the model of a housing project at The Star Property Fair 2011 in Penang in July. PETALING JAYA: About 20 developers and property-related companies will showcase their projects and management services at The Star Property Fair 2011 from Nov 25-27 at the Kuala Lumpur Convention Centre. They comprise some of Malaysia's most well-known developers like Dijaya Corp Bhd, Sime Darby Property Bhd, Mah Sing Properties Sdn Bhd, Naza TTDI Sdn Bhd, Encorp Bhd, Setia Haruman Sdn Bhd, OSK Property Holdings Bhd, Sunway City Bhd, IOI Properties Bhd and Ivory Properties Group Bhd. This is the third year Star Publications (M) Bhd is hosting the fair. Last year, the event attracted about 20,000 visitors. Executive for events management Ian Qua said property investment continued to attract a lot of interest despite the global economic uncertainties. “Based on last year's numbers, we expect about 20,000 visitors (this year). “This will be a good place to start for first-time property buyers as it will be an educational experience for them. For those who have made purchases previously, this will be a good event to go as the country's major developers will congregate at the convention centre. Much time and effort will be saved for housebuyers as they will be able to compare the different offerings and pricing,” he said. As for the developers, Qua said they would be assured of a constant stream of visitors. “It will be a win-win situation for both housebuyers and developers and those offering property-related services,” he said. To make the event more interesting, there will be talks on feng shui, property investment and other topics at selected times during the three days. Two popular feng shui masters David Koh and Joe Choo will share their insights, knowledge and experiences on various interesting topics with potential investors and house owners. Gavin Tee will talk about why property purchases continue to be one the most popular forms of investment in today's economic climate. Other speakers will discuss how the global economy impacts the property market. Legal restraint: Under the restricted Malay title, land and properties in Kampung Baru can only be sold, occupied and rented by Malays. 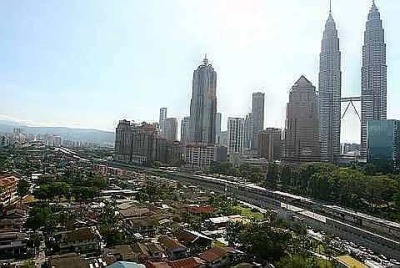 PETALING JAYA: The redevelopment of Kampung Baru will not be unduly delayed by the re-tabling of the amended Kampung Baru Development Corporation Bill, said Senator Datuk Abdul Rahim Rahman. The new amended Bill was tabled, debated and passed at the Dewan Rakyat sitting yesterday. With the Bill passed, it would then be gazetted and by the first quarter of next year, Kampung Baru Corp (KBC) would be set up. Abdul Rahim said the redevelopment of Kampung Baru would be done in phases and progressively, taking into consideration the prevailing market conditions. Under the restricted Malay title of the land and properties in Kampung Baru, land can only be sold, occupied and rented by Malays. It is this restriction which has made Kampung Baru hard to develop as the market is restricted. “Due diligence and studies will be done because the components of the development are important. “We have to think of the heritage factor to make it a tourist attraction. It is such factors, together with the greening of the city, that will enhance the liveability and sustainability of Kuala Lumpur,” said Abdul Rahim, who is also executive chairman of Rahim & Co group of companies. The amended Bill was a result of consultation and negotiation with all parties, which included the Malay Agriculture Settlement authority, landowners and non-government organisations. Abdul Rahim said the setting up of the corporation was necessary to spearhead development. PAS has asked for a board of trustees. “There is a difference between the role of trustees and a corporation. The KBC can spearhead, raise funds, put in certain regulations and lead in the redevelopment of Kampung Baru. “There will be as little land acquisition as possible so that Kampung Baru can be developed based on consultation with all interested and related parties,” he said. The redevelopment of the 110-year-old site has experienced several false starts for many years as it involves much sentiment and legal issues. The Government is spearheading it now as it would like to develop the 126.73ha located in the city centre in tandem with the growth and development of the city. According to Bernama, the Government has approved four government-linked companies with bumiputra interest, namely Permodalan Nasional Bhd, Lembaga Tabung Haji, Perbadanan Putrajaya and Permodalan Hartanah Bhd to ensure bumiputra interests were protected. “We are not letting the private sector take over the land of the Malays in Kampung Baru except with their consent. If there is no corporation, how are we going to help them to develop their own land,” Minister of Federal Territories and Urban Wellbeing Datuk Raja Nong Chik Raja Zainal Abidin said at parliament yesterday. YTL Corporation Bhd's wholly-owned unit, YTL Hotels and Properties Sdn Bhd, has acquired the entire stake in the Bath Hotel and Spa BV for €18,000 (€1 = RM4.24). "As a result of the subscription, Bath Hotel has become a wholly-owned subsidiary of YTL Hotels and an indirect subsidiary of YTL," it said in a filing to Bursa Malaysia today. It added that Bath Hotel, incorporated in the Netherlands on Oct 4, will be principally involved in investment holding.